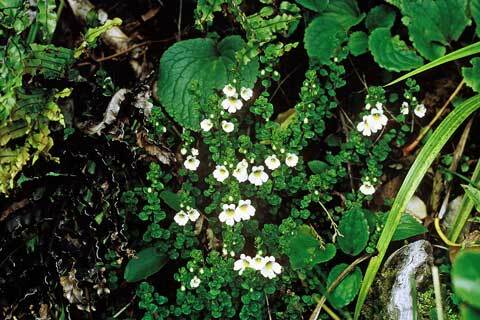 New Zealand eyebright (Euphrasia cuneata) grows from lowland to alpine areas. In summer it produces 2-centimetre-long flowers with the base of the petals fused into a tube. The throat of the flower has a yellow patch, and veins in the petals are streaked purple.